Den viktigste trenden innen skjønnhet har kommet for å bli: "Grønt er skjønt"! 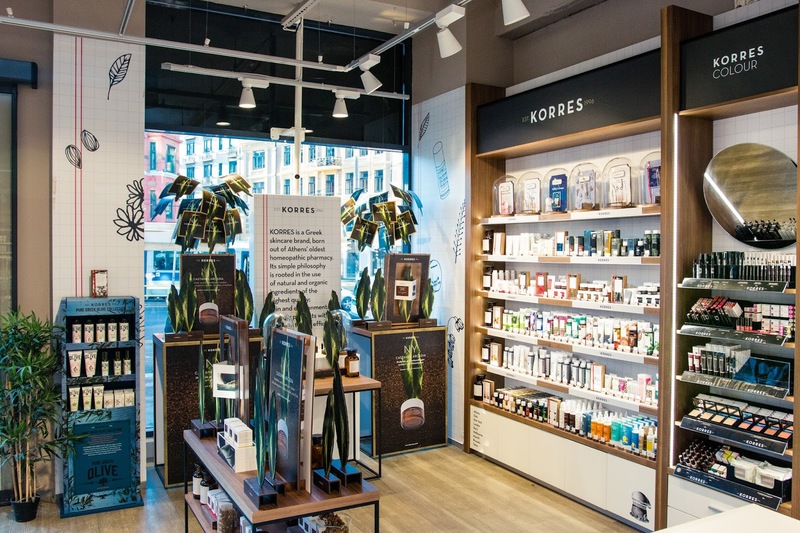 Mitt aller største favorittbeautymerke for kvinner og menn, greske KORRES, har åpnet Norges første shop-in-shop-butikk på VITA Majorstuen i Oslo. 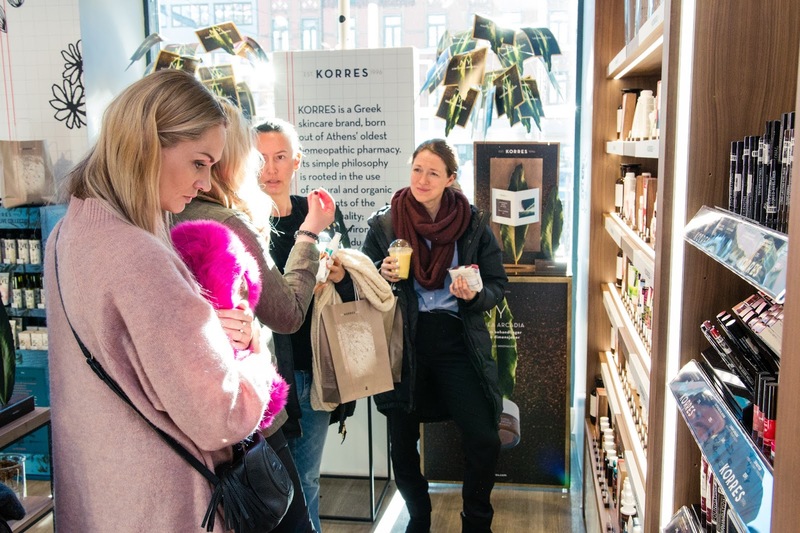 Her finnes et særdeles stort sortiment av merket, sammenliknet med resten av VITA-butikkene og VITA.no. 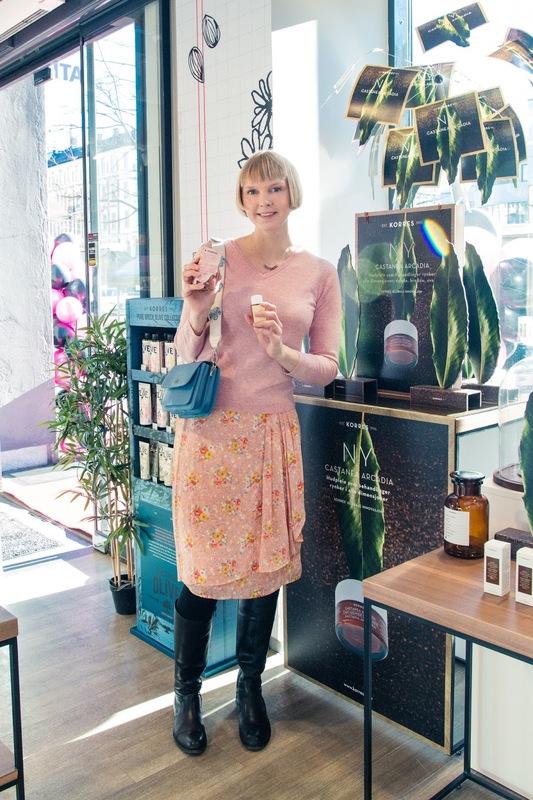 Mange av produktene inneholder opptil 95 prosent naturlige ingredienser, og til og med allergener er merket på pakkene. Dette kommer av grunnleggerens bakgrunn. 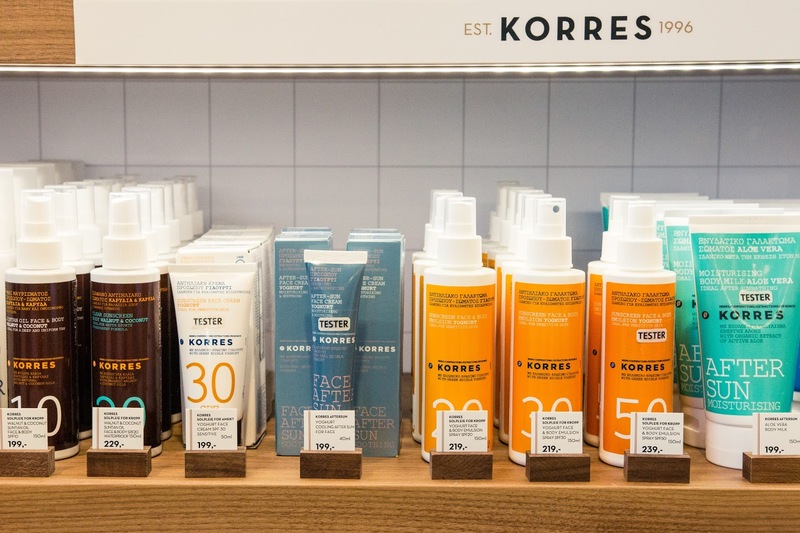 Farmasøyten Georgios Korres realiserte sin guttedrøm om et naturlig beautymerke på øya Naxos i 1996. I tillegg har han sørget for å utvikle en sterk merkevare med utrolig lekkert produktdesign. 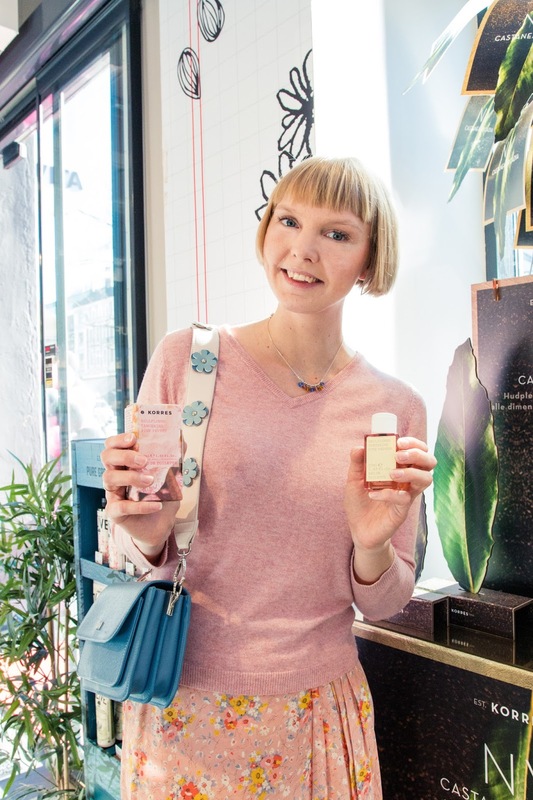 Den nye kastanjeserien skal nå testes ut - en av de største innovasjonene innen anti-aging. 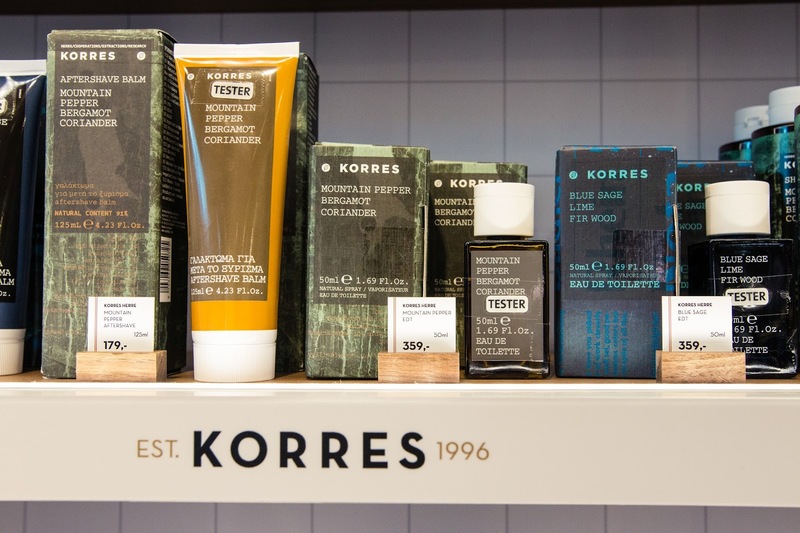 KORRES black pine anti age-ansiktskremene er også de ansikstkremene som selger best hos hele VITA. Jeg elsker spesielt solkremene (som er ekstremt bra) og de fuktighetsgivende leppestiftene og lipglossene. 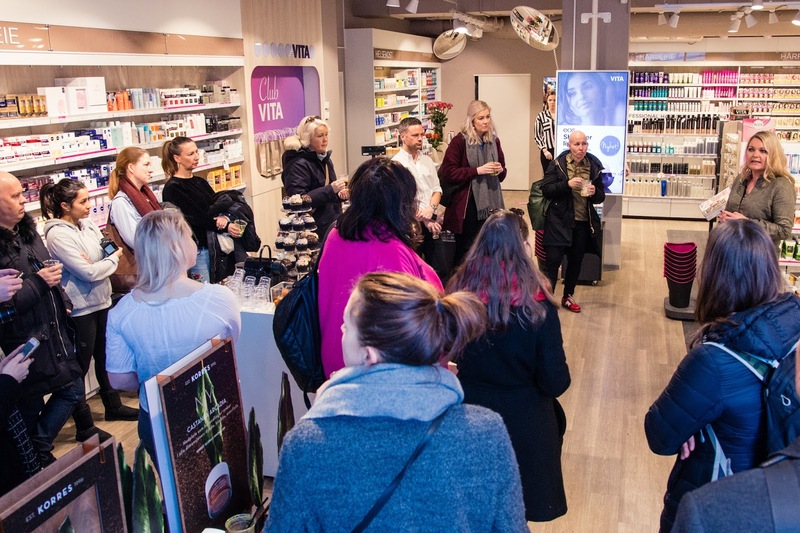 Svipp gjerne innom KORRES-butikken hos VITA rett utenfor Majorstuen T-banestasjon. Håper dere blir like glad i produktene som meg! Jeg var oppdragsfotograf for VITA og Polhem PR under pressefrokosten og åpningen fredag 10. mars. Her er et miniknippe med bilder. 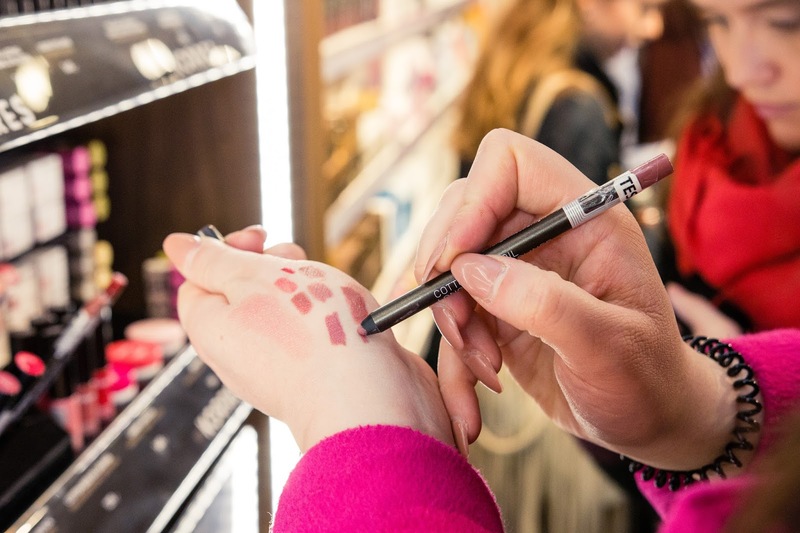 The most imporant trend within beauty is here to stay - go green! 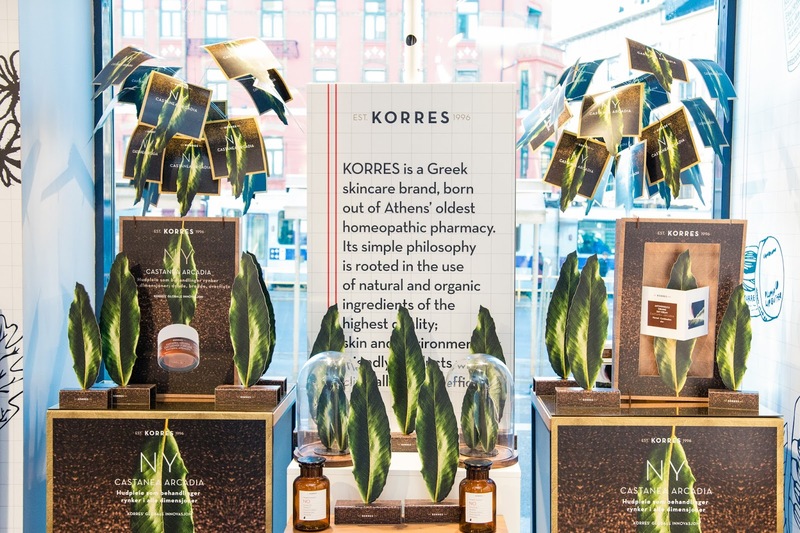 My absolute favourite brand for women and men, Greek KORRES, has opened Norway's first shop-in-shop store at VITA Majorstuen in Oslo (right next to the subway station). Here, you'll find a wide and extended selection of the brand, compared to other VITA stores around the country and at VITA.no. 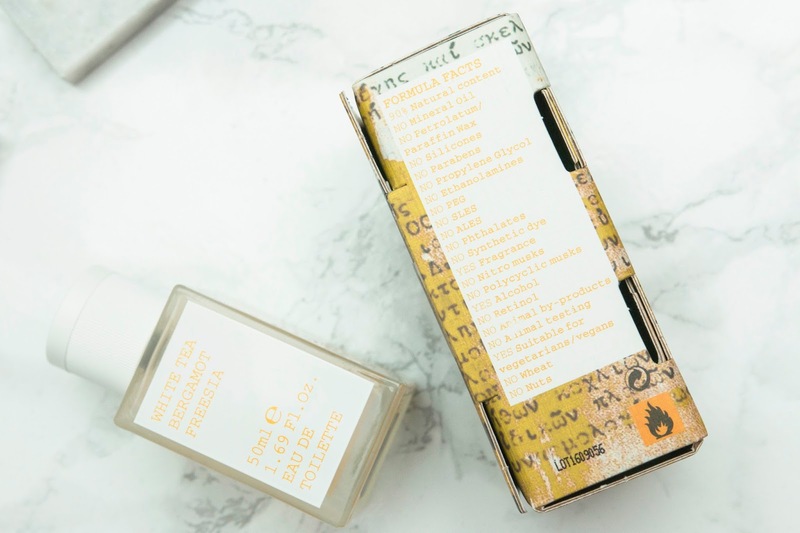 Many of the products even contain up to 95 percent of natural ingredients, and even allergens are marked at the packages. This is mainly because of the founder's backgound. 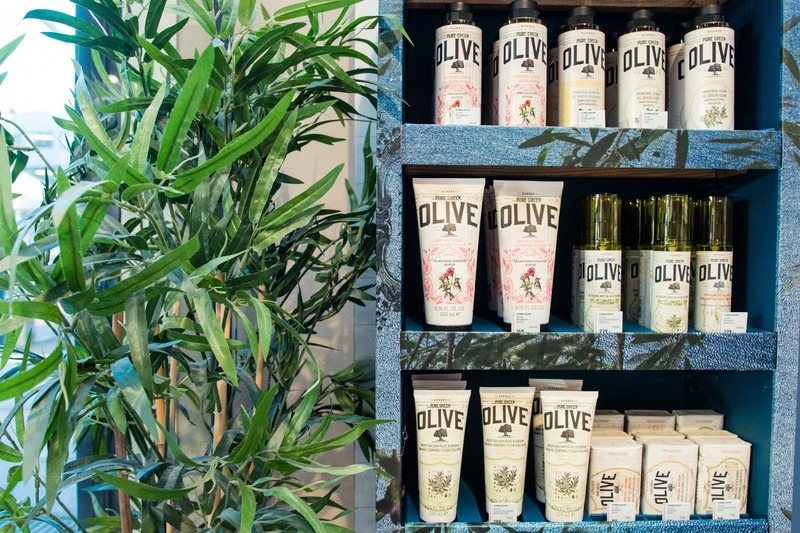 The pharmacist Georgios Korres unleashed his childhood dream about creating a natural beauty brand at the Greek island Naxos in 1996. In addition, he's made sure to develop at strong brand with incredibly beautiful product design. 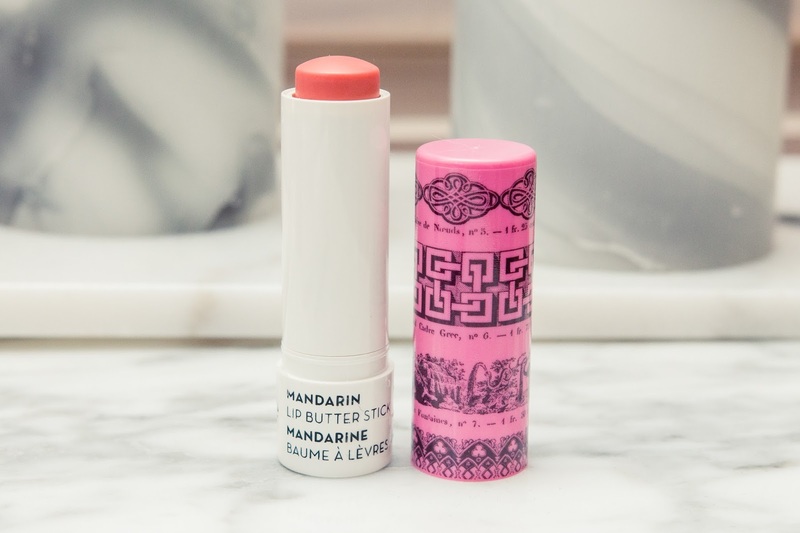 Psst: My absolute favourites are the suncreens and the moisturizing lipsticks and lip glosses. 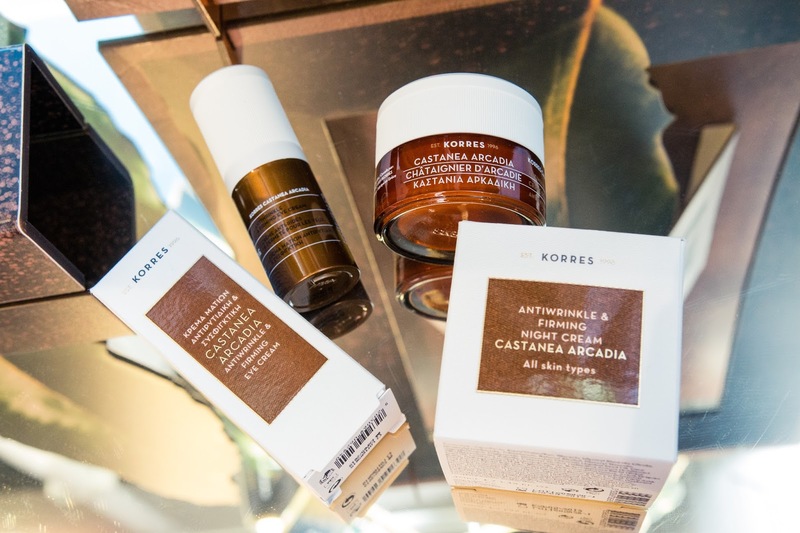 I'm also testing out the new and revolutionizing anti age series 'Castanea Arcadia'. 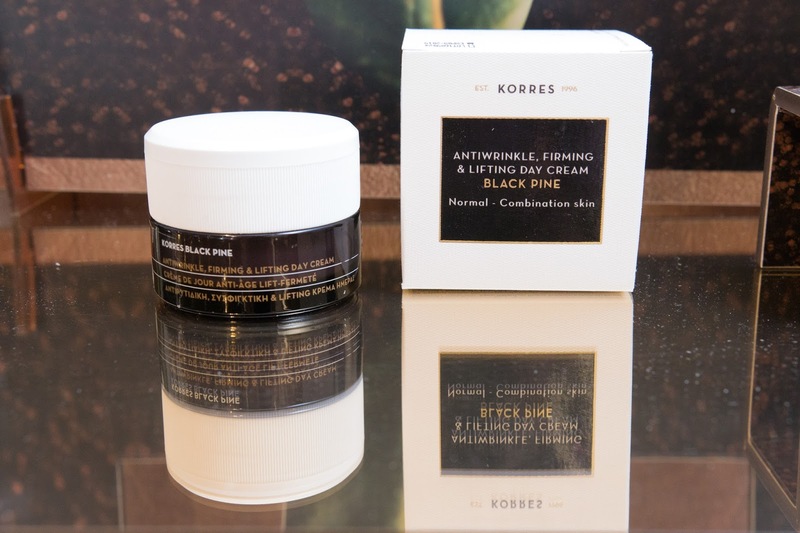 The black pine facial creams are VITAs bestsellers. 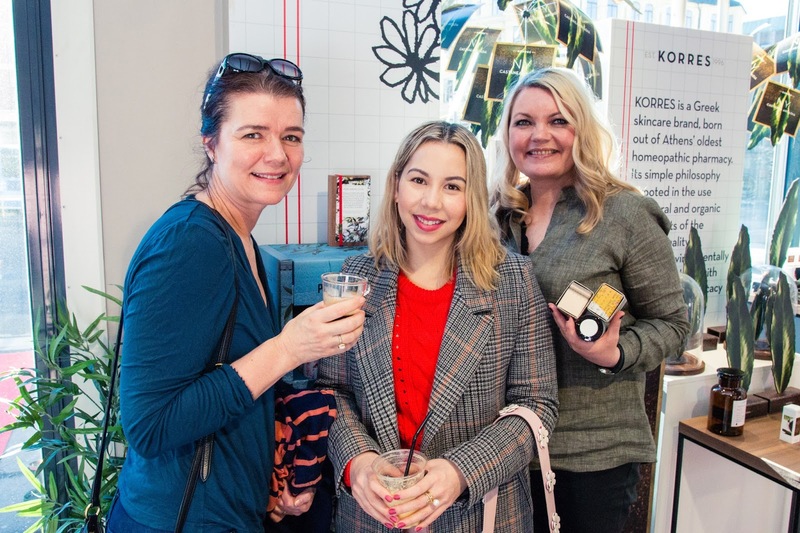 I took these photos as an assigned photographer for the store opening press breakfast on Friday 10th of March - hosted by Polhem PR and VITA. I'm looking forward to test out these products too... Especially the deodarant! 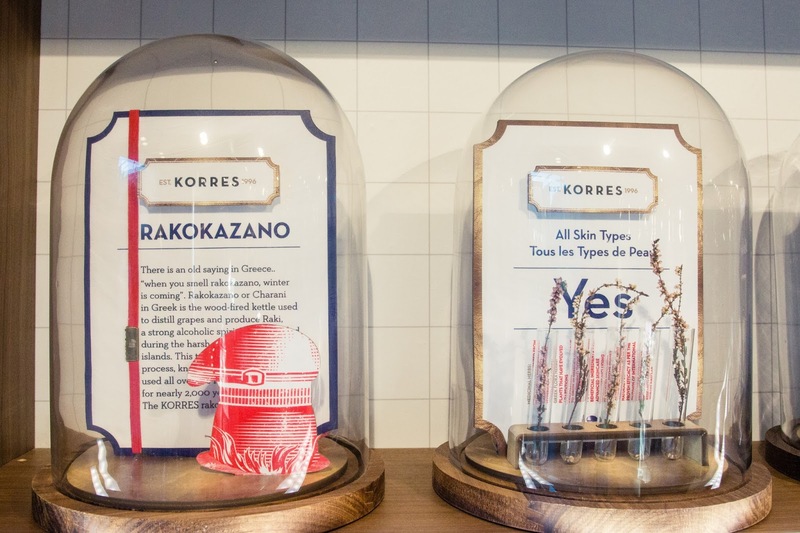 I just love the design and scents of the KORRES perfumes! I'm wearing: Sweater from Riccovero, skirt from byTiMo, handbag and shoulder strap from Don Donna / MORRIS and boots from Skopunkten. Look at the detailed ingredient list! So natural :-) I bought this scent: White Tea Bergamot Freesia. It has a wonderful scent of spring! Always wonderful to meet Marna (Komikerfrue.no)! 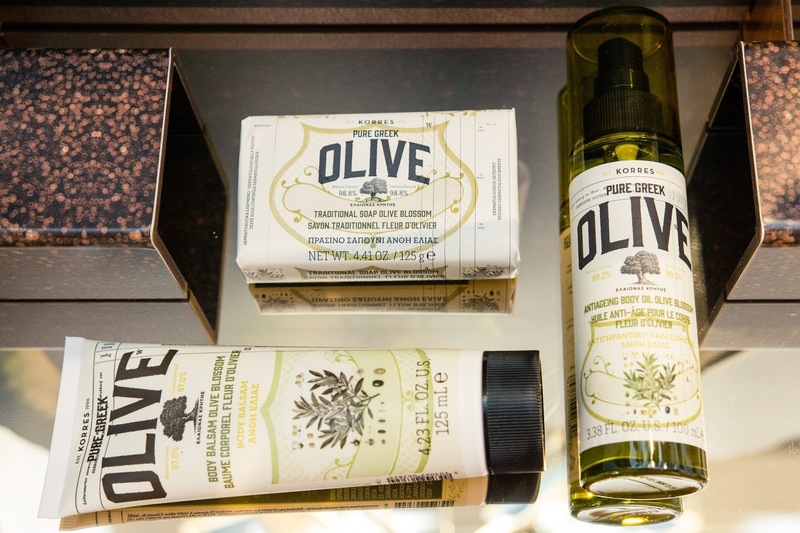 The new olive series has a magical scent too! Seriously - this is the very best sunscreen in the world. 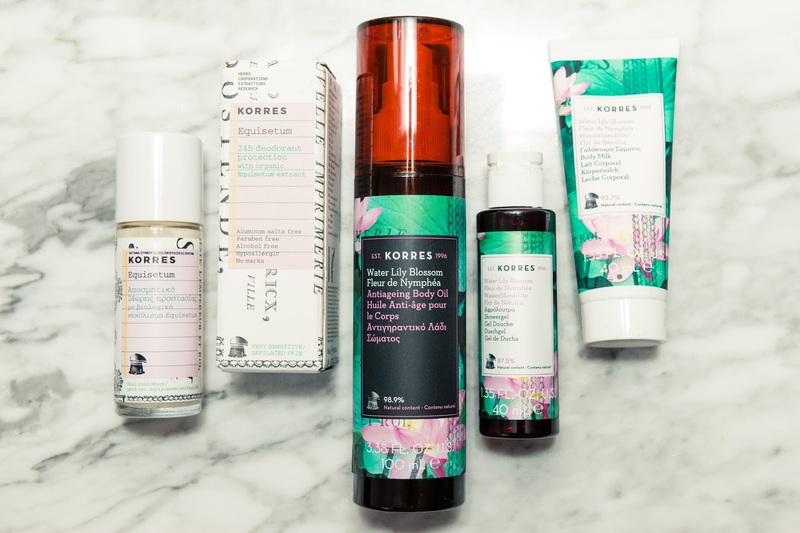 My sensitive skin NEVER gets burned any more, and they are non-greasy. The brown bottle with SPF 20 is a wonderful sunscreen spray! It even gives a more deeper and glowful tan. Even som great products for men too! Many attented the press opening - and you should have seen all the costumers that arrived afterwards at the official shop-in-shop opening! 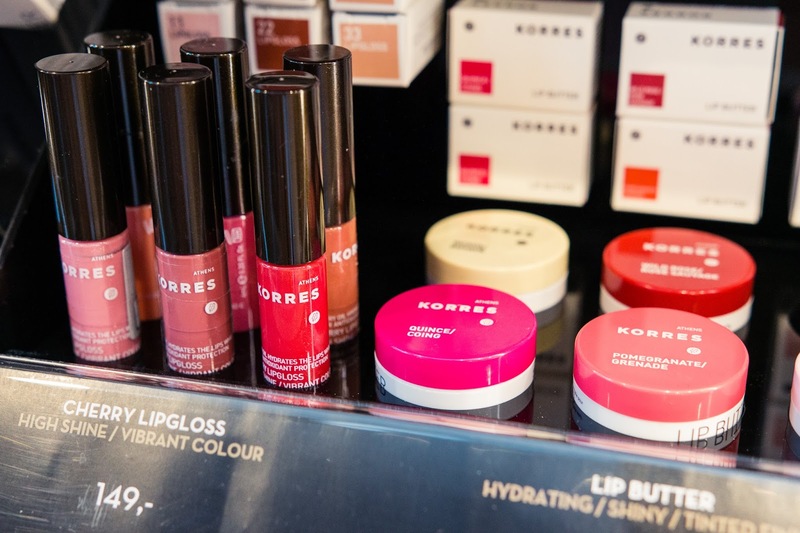 KORRES has become a beloved brand among Norwegians. Lovely ladies! 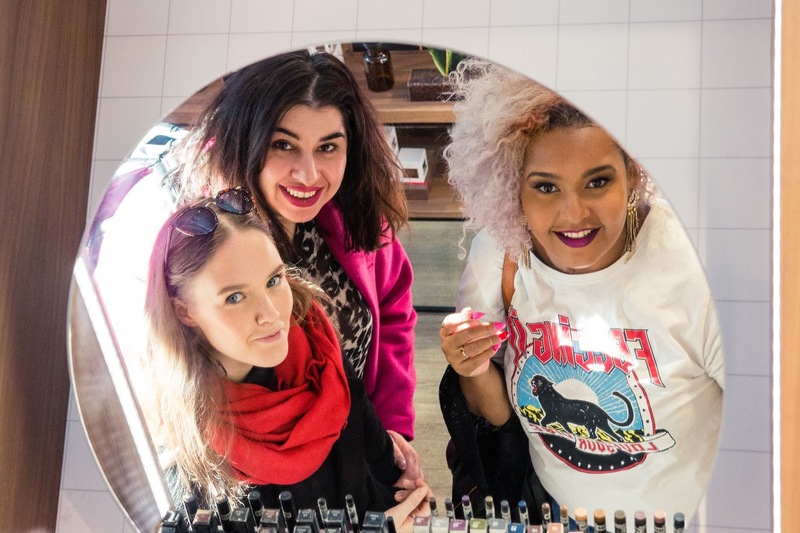 From left: Åshild Breian from TARA, Julie Therese (blog: thefashionarchive.no) and brand manager Kristin Myklebyst from VITA. I just love these girls too: From left (red scarf): Camilla Jorddal (camillajorddal.no), Nastaran Marie (nastaranmarie.com) and Gisella Francisca (gisellafrancisca.com). They all have wonderful blogs! 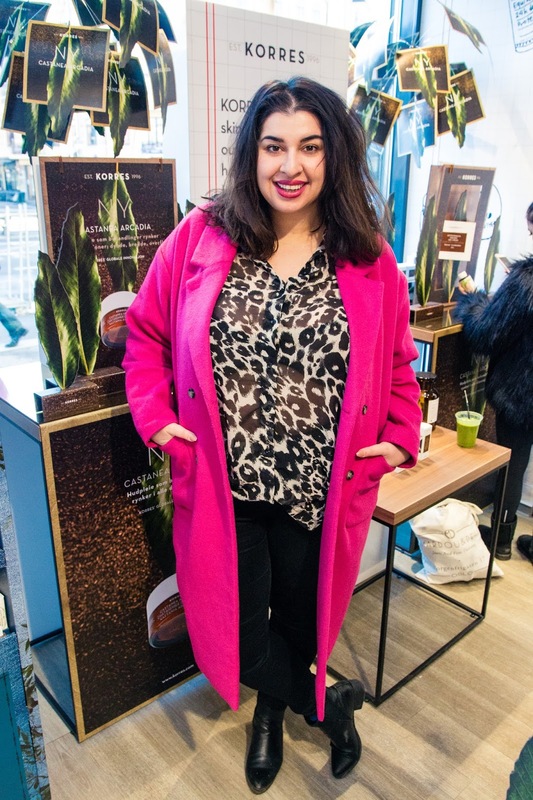 Nastaran is killing it with this wow coat from Monki! 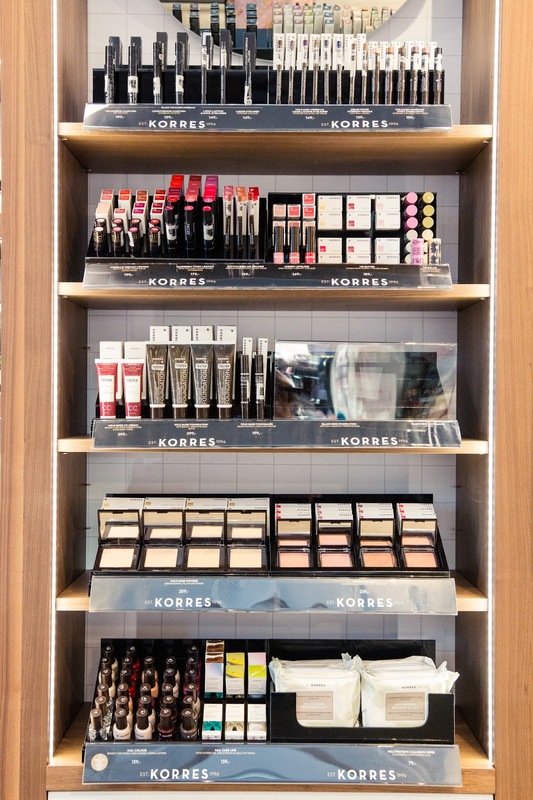 The KORRES shop-in-shop at VITA Majorstuen also has a lot of wonderful makeup! I bought this too and applied it at once. It has a great color!